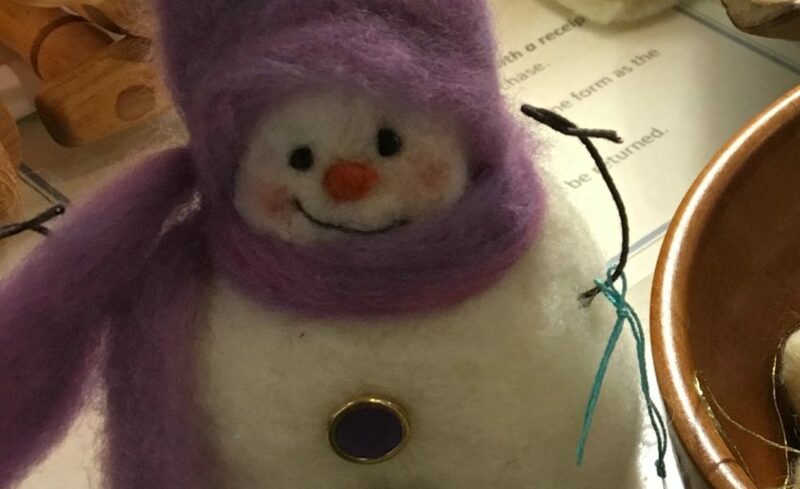 Learn to make adorable decorations with a needle, cushion, and some felt. Project will be a felted snowman. All materials provided, including a foam felting pad and two felting needles. No experience necessary; local fiber artist and instructor Lisa Haldeman will walk you through this fun and easy craft step by step! The class will be 2-3 hours long. Additional felting kits will be available to purchase after class. As needles are very sharp, this class is limited to participants ages 12 and up. Hours: Noon – 4 p.m.